Sparked from a recent Nuvo.net review and hungry for something different than the typical downtown fare I stopped at Goose the Market on my way back to the office. This was the first time I’d tried Goose for lunch & they had a pretty steady lunch crowd. 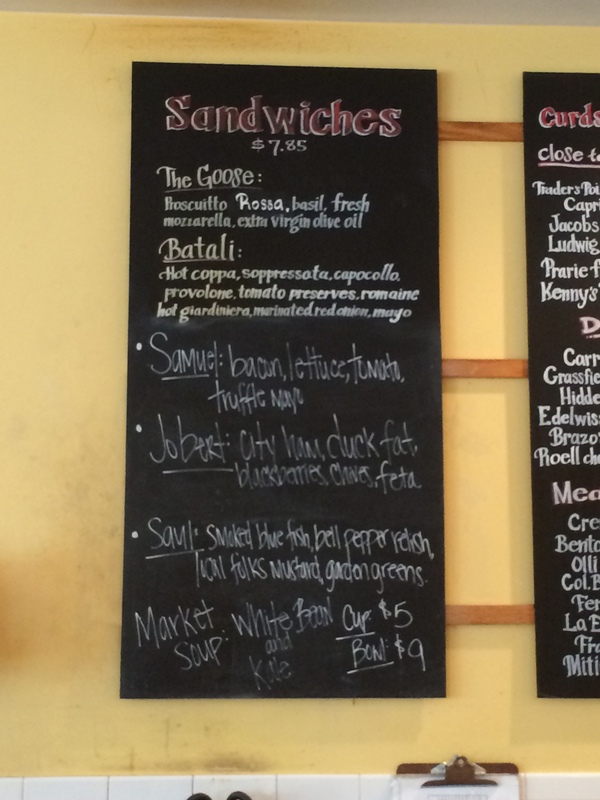 Each sandwich is made to order and the bread is pressed and toasted. After getting my order in I was told it would take about 15 minutes. Just enough time to wander around the market and check out all of the unique and seasonal products. 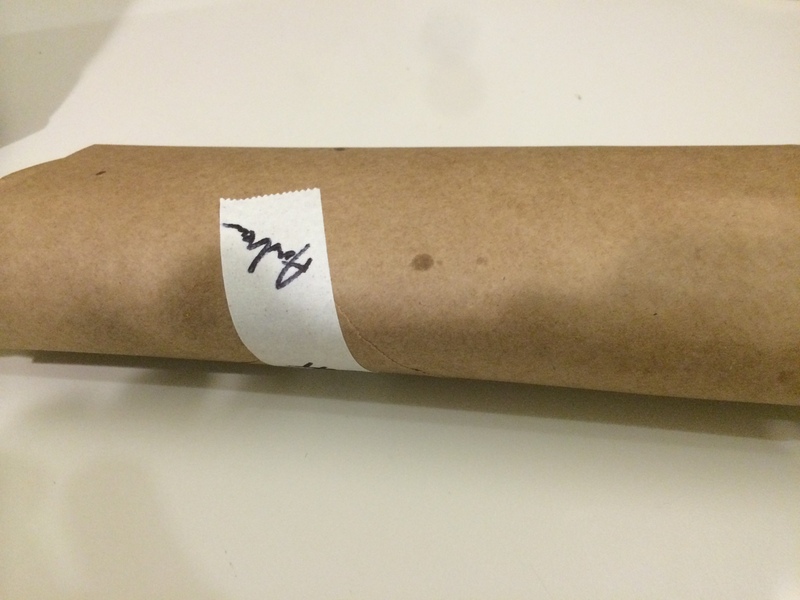 Within about 10 minutes my name was called and I was handed a warm little bundle wrapped in brown butcher paper. Back at the office I was able to finally unwrap this beauty that was making the car smell incredible during the 15 minute drive. Goose the Market was named as one of the Top 10 Sandwich Shops by Bon Appetite with good reason. The Batali (named after Mario Batali’s father) is a fresh and chewy baguette stuffed full of spicy coppa, soppressata, capocolla, provolone, tomato preserves, hot giardinara, marinated red onion, mayo, romaine. It’s big, messy and unbelievably delicious. In fact, letting the sandwich sit for a while only helps because the bread absorbs some of the mess and the flavors have a little time to meld. The Batali reminds me of the Pressed Picnic Sandwich I’m very fond of and it’s a lot less work to get! At $7.85 it’s a great deal and one that I’ll be adding to my lunch rotation. In fact since starting this post a few weeks ago I’ve already returned and had the sandwich again. It was just as amazing as the first time. Previous Previous post: Weird Al, Tacky: Parody of Pharrell’s Happy – BETTER Than the Original!